Children from Year 2 ended their four years in the Early Childhood section by performing a play called the ‘Litter Munchers’. 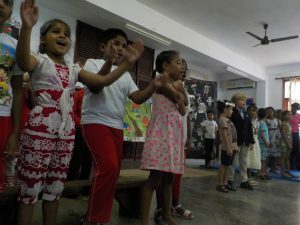 These future environmental heroes thrilled their audience of parents and friends with their singing and acting. We all hope that these children will grow into responsible citizens who ‘Reduce, Reuse and Recycle’.